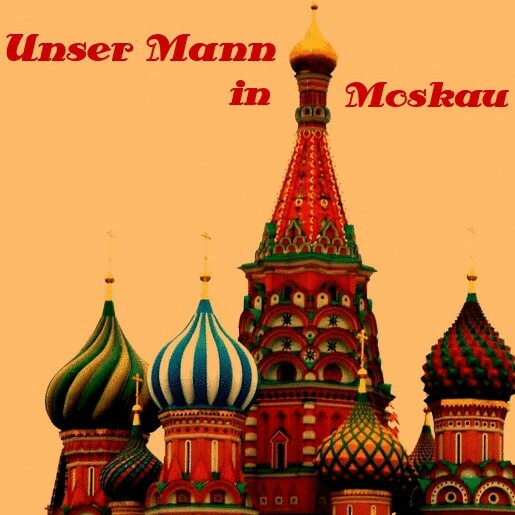 Unser Mann in Moskau feiert Jubiläum mit einer Doppelausgabe. Die Zusammenfassungen beschätigen sich mit Vorfällen, rund um den Fußball in Osteuropa. So war es und so wird es bleiben. Warum wir diese Serie haben? Weil uns die Begebenheiten im osteuropäischen Fußball interessieren. Und weil wir Feedback bekommen, dass es auch anderen so ergeht. Aus diesem Grund werden auch zukünftig die Quellen im Original gelesen, um dann einmal monatlich, ein besonderes Ereignis zu beleuchten. Wir wünschen viel Spaß beim Lesen und Erkenntnisgewinne. Although they are sweeping all before them in the Russian Premier League (RFPL) this season, Zenit St. Petersburg have lost a court battle against one of their own fans, whose behaviour during a home league match 18 months ago led to a range of sanctions being imposed on the club. Alexander Nesterov, known among the Zenit ultras and fan community by the nickname ‘Gulliver,’ assaulted a Dinamo Moscow player during a pitch invasion by Zenit fans. The incident took place in the 87th minute of the league tie between the two sides, with Dinamo leading 4-2, as pushing and shoving erupted between players from the opposing sides. The game, which was played on 11 May 2014, was part of the penultimate round of games that season, and was particularly crucial for Zenit, as they were locked in a battle for the title with CSKA Moscow. During the incident a large group of fans, who had crossed the stadium’s running track and were singing in defiance behind the goal, invaded the pitch and headed for the players crowded on the halfway line. As stewards and match officials attempted to evacuate the players to the dressing room, Nesterov punched Dinamo defender Vladimir Granat on the side of the head. Granat was later taken to hospital and diagnosed with head trauma and concussion. The player would later missDinamo’s final game of the season as a result. As the game was abandoned due to the actions of the club’s fans, the RFPL’s disciplinary commission declared the match an automatic 3-0 defeat for Zenit. The commission also fined the club a total of 3 million rubles and ordered them to play three matches behind closed doors, as well as two further matches with partial stand closures. Following the defeat, the team were overtaken by CSKA, who went on to win their final match and, ultimately, the title. After the punishments were imposed upon the club, officials there began to take steps with regard to claiming back some of the financial damage inflicted by the behaviour of their own fans, bringing legal action against Nesterov, whose assault on a football player was decisive in the severity of the penalties imposed on the club. The court case brought by the club claimed damages of 350,000 rubles fromNesterov for “damaging the image of the club.” The sum represented the part of the total fine that was imposed on the club for Nesterov’s behaviour. In response to the claim, Nesterovthen countersued the club for 1 million rubles. Both claims were rejected by the local district court in St. Petersburg on 24 December 2015. Giving his account of the case, Alexander ‘Gulliver’ Nesterov said in an interview that he did “not consider the result a personal success. Rather, justice triumphed.” Nesterov claimed that he had sought to resolve the issue with the club at meetings with club officials on more than one occasion, but that “every time they presented me with such crushing terms, even after reducing the amount they wanted.” Nesterov stated that he was unaware of any appeal on the part of the club. Although Zenit imposed a lifetime ban on Nesterov attending both home and away matches, banning orders are extremely difficult to enforce in Russia without a corresponding criminal conviction. As a result, following the defeat of the club’s case against him, and in light of the fact that he only received a lighter ‘administrative’ conviction, Nesterovsaid that he expects to be attending Zenit games once again next season. Fans of the Ukrainian second division side MFK Nikolaev (Mikolaiv) have criticised moves by officials connected with the club aimed at putting pressure on the city’s mayor to provide extra financing for the club ahead of local elections. The MFK ultras group criticised city council deputy and club sponsor Sergei Kantor for allegedly using a series of meetings to pressurise Nikolaev’s mayor, Alexander Senkevich, into raising the amount of funding provided to the football club from the city budget. Fans reportedly backed Senkevich for having declined to meet with the leadership of the club. There was also a feeling among fans that the club was being used as a PR tool in local elections. One view is that the current leadership used their positions as representatives of a local football club to gain seats on the city council, after which they had no further interest in supporting the club themselves and attempted to pass this burden onto the mayor’s administration.